If your looking for a great 3 bedroom, 2 bath, with solar panels in North Phoenix then this is your new home!!! Oh and with NO HOA! 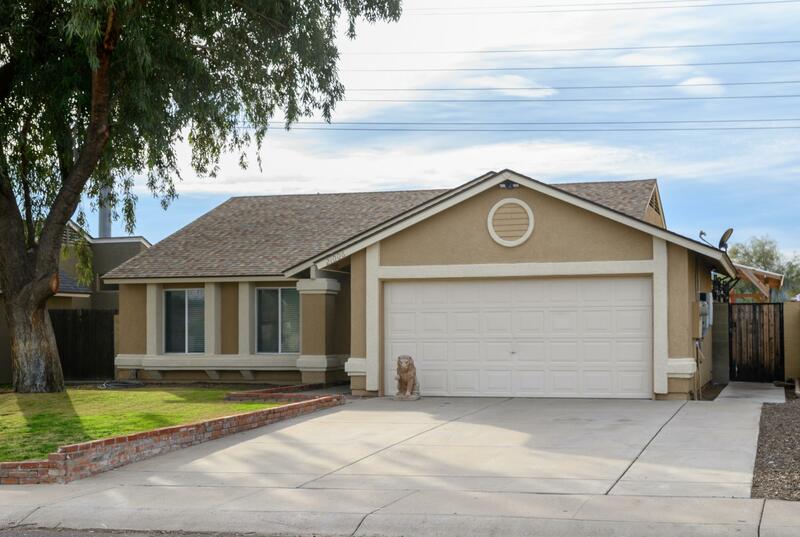 Home additional features: fresh new carpet and neutral interior paint, remodeled showers, vaulted ceilings in main family room, surround sound wiring, kitchen has granite counter tops, cherry wood cabinets, stainless steel appliances, with a breakfast bar. Back yard is landscaped for entertainment with a full covered back yard patio with surround sound wiring, 3 patio ceiling fans, built in BBQ and a utility shed for extra storage! Easy access to the freeways loop 101 and I-17, shopping centers and entertainment close by. This is a MUST SEE!! !